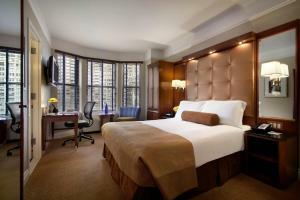 Centrally located in downtown New York, this luxury hotel features a bar, lounge area and elegant rooms with free Wi-Fi. 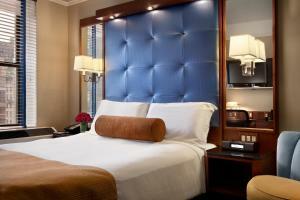 The Empire State Building is 3 blocks from this boutique hotel. The modern rooms at Hotel Chandler are decorated with cherry wood furniture and feature a 32-inch flat-screen TV and iPod docking station. 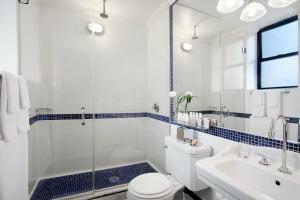 The deluxe bathrooms include bathrobes and designer toiletries. Guests at the Chandler can relax in the library, which offers a business center, wall-mounted 40-inch flat-screen TV and a fireplace. The upscale hotel also features a well-equipped gym and sauna. Bar 12:31 is open every night and offers light dining and a happy hour. A wine and cheese reception is served on select nights. Macy's and Herald Square are both a 5-minute walk from the Hotel Chandler. The 33rd Street Subway Station is 3 blocks away and offers easy access to Times Square and Rockefeller Center.